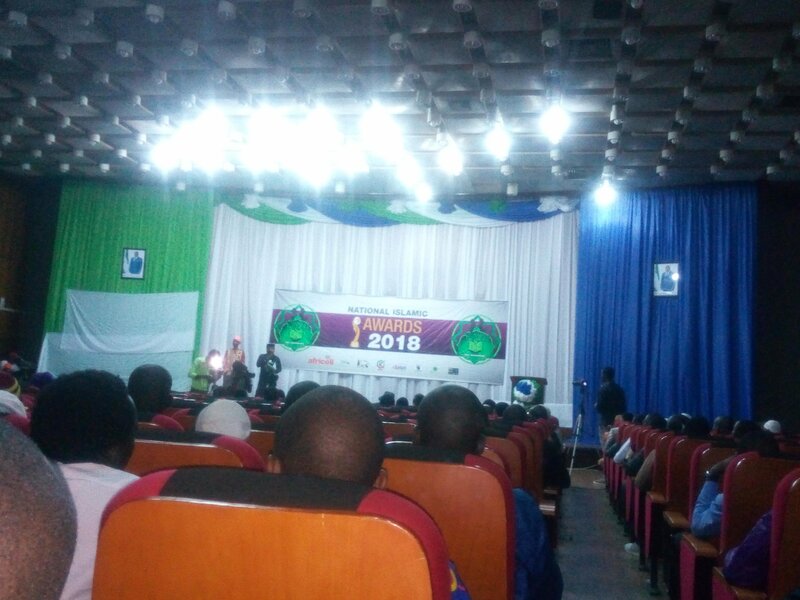 The Youths in Action for the Development of Islam (YADI) have held the Second National Islamic Awards (NIA) at the Miatta Conference Center on Sunday the 16th December 2018. The event which hosted high government personalities, Islamic scholars and people from all walks of life started with a Red Carpet Ceremony, followed by the event which encompassed a mixed flavor of Islamic entertainment and distribution of awards. The aim of the award was to recognize and thank Muslims across the 4 provinces of Sierra Leone and to inspire and motivate through their bright examples. The Vice President, Mohamed Juldeh Jalloh was honoured with the Influential Muslim of the Year Award, followed by the Deputy Minister of Social Welfare, Gender and Children’s Affairs, Mohamed Haji Kella, for his contribution to a successful 2018 Hajj pilgrimage. Other important personalities like Hon. Umaru Dumbuya (Chairman Maritime), Alhaji Ibrahim Talleh, Mohamed Alimu Barrie and Mohamed Bobson Bangura received special recognition awards too. In his statement, the Founder and Executive Director of YADI, Amadu Wurie Barrie said Sierra Leone will not realize national stability until government prioritizes religion. “Religious awareness and moral values will help minimize crime and promote nationalism and cohesiveness” he submitted. He furthered that YADI is a non-partisan organization, but is ready to work with every government for national development. He called on the government to work with Islamic organizations, noting that moral values will help regain sanity to the nation. 1. Best Islamic Organisation – DAQVAH Foundation. 2. Best Islamic Secondary School – Badru Deen Islamic School. 3. Best College Muslim Jamaah – IPAM Muslim Jamaah. 4. Tahfiz Centre of the Year – Markaaz Daarul Salaam. 5. Imam of the Year – Sheikh Morrie Keita. 6. Inspirational Sheikh of the Year – Shk Muhammad Marrah. 7. Inspirational Muslim Woman of the Year – Khadija Ahmad Barrie. 8. Muslim Philanthropist of the Year – Alhaji Amadu Juldeh Sow. 9. Best Islamic Promotional TV – Star Tv. 10. Anasheed of the Year – My Allah (by Abdul Wariss Musa, “My Allah”). 11. Best Muslim Journalist – Shk Alie Kallay. 12. 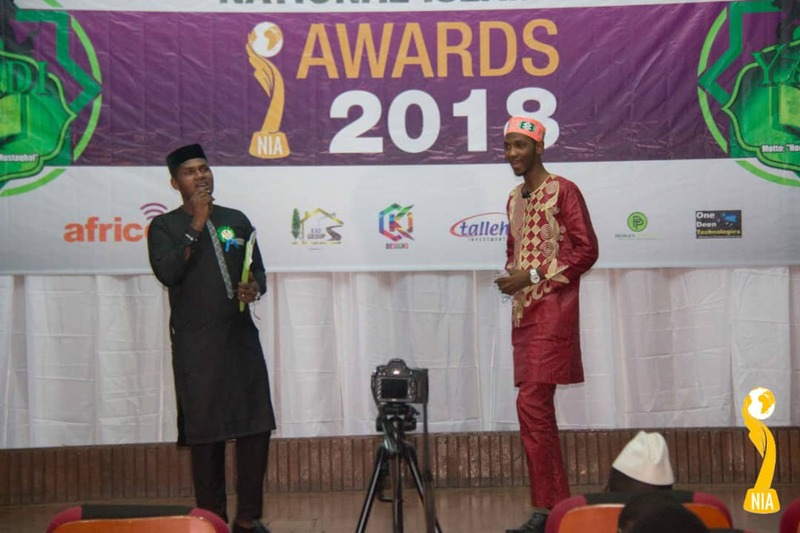 Best Muslim Politician – Hon. Chernor Maju Bah (Chericoco). 13. Best Muslim Medical Practitioner – Dr. Ayeshatu Mustapha. 14. 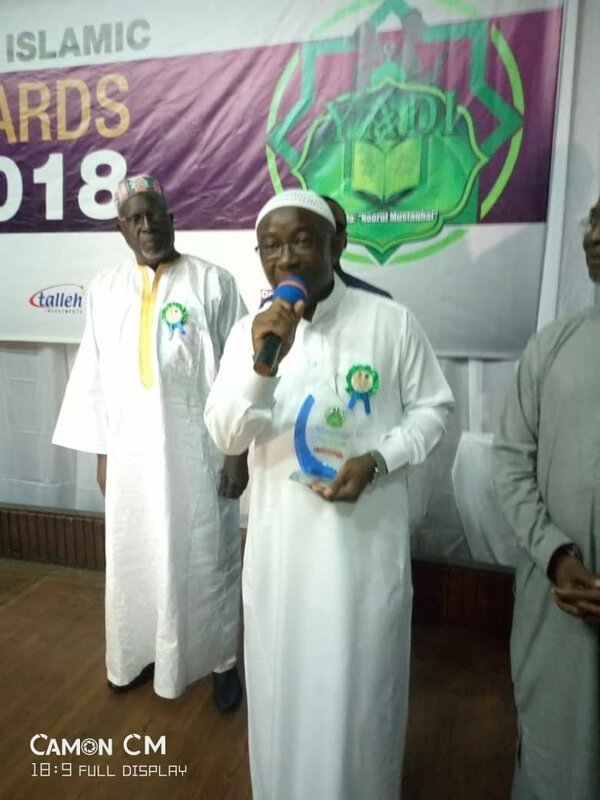 Best Muslim Legal Practitioner – Shk Abdallah Malik Sesay. 15. Lifetime Achievement Award – Alhaji Mohamed Bashir Joaque (Longest serving Imam). Hon. Armani Sannoh, on receiving the Best Muslim Politician Award on behalf of Chericoco commended the organisation, pledging the continual support of Chericoco to Islam. Hon. Osman Abdal Timbo, before launching the YADI website admitted that the youths in any society are the engines of growth and development and they are the critical mass whose actions or inactions will develop or destroy the fabric of a nation. “Muslims should be ambassadors of peace and progress through portraying acts of God consciousness, honesty, sincerity, modesty and moderation” said Hon. Timbo. 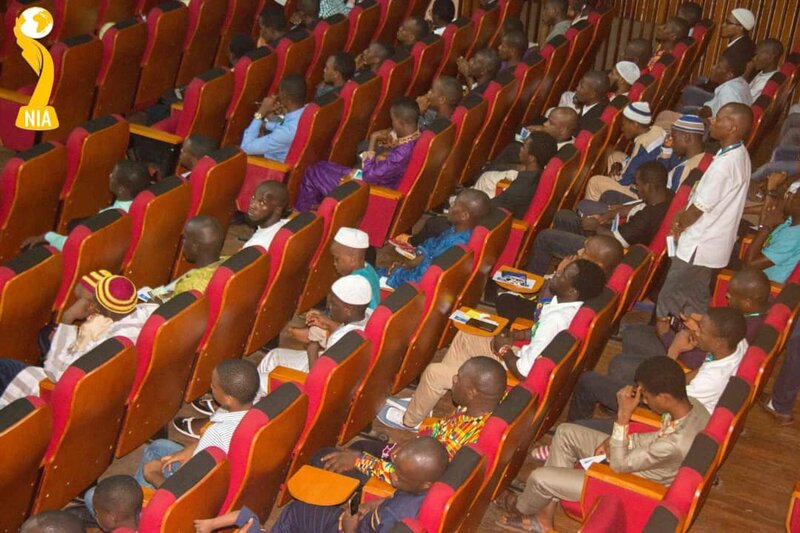 Alhaji Umaru Dumbuya the Chairman of the Sierra Leone Maritime Administration, in his Keynote Address said the youths should be better teachers to society by expressing and sharing to one another the teaching of Islam. He furthered that Muslims should come together to propagate the Islamic religion. The women should wear their hijabs properly and inspire more women to wear it and that youths should make Islam their way of life.